As I mentioned in a previous post, I’ve been busy with builder problems this year on our renovation. Talking to other people, I’ve discovered that many, many people have, or have had, problems with builders. It seems par for the course and with just a tiny prompt their stories tumble out. It’s the same everywhere, in every country, but the stories do seem to abound in France. Before I continue, I want to be clear: at no point have I felt it has been a case of treating a foreigner badly, and I’ve not found that I get given higher quotes as a foreigner either. Although I don’t want others to have problems, it has been quite helpful to know that one is not alone and, I’m not proud to say there is also comfort to hear the situation could have been worse. I recently learned of someone having to take their architect to court because the foundations of their build were insufficient and the whole house is now crumbling down. They originally wanted to sell the house but after this discovery they are stuck, taking the matter to court and the whole situation is already a few years old without an end-date in sight. Going to court can be a lengthy process and ties up money that could be used elsewhere, so it is obviously not the best option in many circumstances, unless in extremis. But if you have all the records on your side, to show how you would win, you may achieve what you want without going to court. So, on the theory that a problem shared is a problem halved, here’s my story and if you’re having works yourself there is some advice here that may help you. I found the builder via an advertisement on an expat website. He came across as being very amiable at first and very interested in helping me and saving me money. He wasn’t macho as some builders can be, who don’t want to listen to women. He took me to see some work of his which appeared good, although I didn’t speak to any of his former customers. But as time went on during the works, inconsistencies in his many stories and excuses appeared, I noticed he never took notes and would lose the ones I gave him, then he either forgot most of what we discussed or denied it, he didn’t follow instructions (verbal or written), didn’t seem to pass on to his workers what I had written down or what we had discussed, none of them took any care in their work or protected the building inside or out thereby damaging much of it; and he kept asking for more money up front and then producing new bills for items that should have been included. He then held the site hostage and I had to do whatever necessary (which was paying more and praising him) to get him back on site as I hadn’t realized quite how much money I’d already paid in advance. We did this with a Procès Verbale, so if he didn’t come back to finish I could have taken him straight to court. However, he still went over the new, extended finish date by more than 3 weeks before demanding more money. I wouldn’t pay until he finished the work. Very shortly after, he announced that it was finished. The builder said that according to law, even if there was “malfaçon” I still had to pay him, whatever the state it was in, and it would be fixed later – although he let slip earlier that he had no intention of coming back to fix anything and was happy to lose the last 5% of the bill (you are entitled to keep 5% of the bill for a period of up to a year against possible malfaçons). But his stated point of law was not true. Not only were there items that hadn’t been finished, but others were so badly done that it was a lot more than “malfaçon”, and when it is like that you absolutely do not have to “réception” the work. He said he had been advised of this by the CAPEB. This is an association for builders. I’d heard mutterings from some people doing building works who seemed to think that the CAPEB has powers. It doesn’t. It is one of the builders’ organisations and is there to represent any builder who pays the annual fee. It is not a governmental or legal authority and gives no indication of whether the builder is good or if he has the appropriate qualifications. If its representative tells you he is neutral as regards the law, don’t think that means he is neutral – not only does the rep not necessarily know all the pertinent law, they will only tell you your rights when pressed, and in any case the law is often a case of interpretation. Make sure you have your own representative. The organisation is there purely to get payment for its client. The CAPEB hassled me frequently, trying to scare me in to paying the final small portion of the bill. This despite sending a copy of a damaging report from a neutral expert I had hired, and despite the expert advising that all calculations of who owes what would be done at the on site meeting, which is the norm. The representative also frequently tried to get me to officially accept the works before the meeting (which can be done just by your payment if not formally done), then at the recent meeting told me with a big smile on his face that I couldn’t do anything about another problem because I had accepted that work by paying for it. If you don’t feel works are acceptable, don’t get pressured into paying anything and don’t ‘réception’ that work until you have a true neutral third party to adjudicate. You may be told that you can’t claim on the insurance until you accept the works. This is true, but the insurance will not pay up for works that are that bad. They also will not pay up unless (and this is madness), you’ve had the original company come back to do the work. It is only if the builder refuses or no longer exists that you can you get someone else in to do it. So you could get into a never ending saga of the builder keep returning but still not doing a good job. You may be told that you can’t get an expert in to look at the problem without accepting the works – this is not true. You can get your own expert in at any point. During the final meeting, the builder continued to lie and deny, was seemingly briefed to keep saying “it wasn’t in the quote”, and the CAPEB kept trying to put me at fault while never conceding any wrong doing by his client despite huge physical evidence to the contrary. Eventually, my expert got us to an agreement where we cut ties. You can’t continue works without a legal agreement of separation. The original builder can come back with all sorts of claims about the works he did if you don’t. My builder returned to sneak a look at my property many times whilst we were waiting for the meeting with the expert. The expert told me this was to see if I’d got any other artisans in to continue the work. The builder knew exactly what he was doing here, and remembering one of his stories he told me of an non-paying customer (that I now view completely differently), it seems has done this before. The builder also wanted to present some additional bills, despite having already given me the bill for the end of works. This is allowed by law. However, it can be argued that he should have submitted a quote for what he believed to be extra work before doing it and had it signed by me before going ahead. In my case I had also specifically written to him to do so, but that didn’t stop him with the CAPEB presenting new bills. If you want to be sure you are getting all invoices, you need to write to the builder before the works’ reception date and state that he should present an invoice in full and final settlement of all works at time of reception. If he doesn’t do so, that’s his problem. My solicitor said that sending an email was sufficient, but in case you have a tricky builder, I’d say it is best to send it recorded delivery, which is the court norm in France. When you officially receive the works, if there are only small items that need attending to, you can list them on the receipt of works form. You then accept the works, at your (unprofessional) eye, with those provisos, and payment becomes due (within 8 days I believe). If any further problems come up that couldn’t have been seen by an untrained eye, you are entitled to recourse. To the association representative this was perhaps all just a game – he certainly seemed to take an unnatural pleasure in it. I’ve already had some artisans in for quotes and the difference dealing with them is enormous because they know their job well. It’s such a relief. The more professional the new artisans who come in are, the more incredulous or angry they are at the bad state of the works, saying it reflected badly on their profession. Some were also angry that the association was defending such a cowboy builder. I have lost money, but I prefer to see the back of this builder than to litigate, and to move on as soon as possible with builders who do know their jobs. I just need to find a way to afford that now! As we go around putting things right we keep finding new things that haven’t been done properly – some dangerous matters too, with the gas and electrics. You’ll also find that for serious works like plumbing/heating etc, very few artisans want to take on another’s bad job as they then become liable for the work. The positive side of this is that at least we are finding this all out now. If the builder hadn’t been greedy for money and slapdash in the finishes, we maybe wouldn’t have found out until much later, when we had paying guests in there, and when it could have had very serious consequences. My expert came from the CMAUH which is a consumer organisation based in the Loire, specializing in building works across France. They have a website and can get involved from the start if you wish, following through the works until completion so that you avoid problems, or they can become involved when you have the problem. I highly recommend them and wish I knew about them sooner. They really know what they’re doing with a wealth of experience. The CMAUH will also advise on where fault lies in the work, which is obviously necessary in this type of situation. They’re not blind though, and will tell if you if you don’t have a leg to stand on. They are also seeing it through to the end of my works, to ensure no further problems with any other builders. All my dealings with them were in French. I don’t know if they speak English. If you’ve got a big problem or are planning big building works, it is best to have someone to act as the buffer, someone who knows the law and the technical side of buildings works, and perhaps someone who is also not from your area. It’s possible that people in the trade or legal profession of your département all know each other and are unwilling to make waves. Some people I know have managed to arrange directly with the artisan that they don’t pay the full bill due to bad/not as requested works. Unfortunately, in this case I seem to have found a builder who either has no idea what good and safe work is or who was too greedy to care, and who had a union representative who felt the same way. So I had to pay for outside help. It also helps to have someone else manage all the various artisans that are coming in – and after my experience, I think it is best to use many different artisans not one company – even if that company is recommended to you as doing a good job. It’s about having all your eggs in one basket. ensure the quote is very detailed, in line with the result you want to achieve. Ask questions and get clarifications added to the devis. as a lay person it is often difficult to know if everything you need has been detailed in the quote, so if you are having big or several works, it is worthwhile employing someone who knows the technical side to look it all over (such as an expert from the CMAUH). You still need to be able to have a technical person who interprets your wishes correctly though, so always ensure you give full written instructions of what you want to achieve. make sure you have every little conversation followed up in writing. make sure you have proof of sending any written item (i.e. send by email or at least have a neutral witness if you are handing a document) and if you need responses and aren’t getting them, then send by recorded delivery, advising a reply date limit. if you are supplying any items to be installed, look them over with the builder to look for imperfections and take lots of photos and notes even if they look perfect. Although it is preferable that they supply them so that there is no doubt about who is responsible if there is a breakage or something wrong with the item. take photos of every aspect of your home before works are started – this is not only for proof, but as an aide-mémoire for you too. ask for a copy of their ‘assurance décennale’ before work and check that all aspects they are undertaking are included on it. if you need to get a confirmation of state of works, the courts recognize without further recourse a report done by a Huissier de Justice. However, the Huissier is not an expert in buildings, so you may well need an expert to do his report, perhaps at the same time, or just use the expert. don’t get bullied into doing or paying for things. Have your own professional advice, and take a good moment to reflect before agreeing to anything. have legal cover on your home insurance. I have learned a lot in this process and my main failings were wanting to get on with the works quickly, wanting to use one company for all works to get the works to advance quicker, and being too trusting. Although I’ve had workers in before and never needed to protect myself from all possible eventualities like this. I wonder if I would have trusted to the same extent if I wasn’t here on my own so much. The builder had mentioned problems he was having with previous customers – who coincidentally were all women mostly on their own and whom he believes to be wealthy. It makes no difference now, though. We can both finally move on. If you are having building works I hope this has been of help. If you want any further info, just DM me. If you want to share your own experience or tips, please feel free to do so in the comments (without specific names of who you are dealing with though please). This is certainly a helpful set of tips, stories and details. Though I’m not building in France, certainly there are many that are or dream to someday. The someday camp is me. Though much of this is practical advice, I was quite taken with your suggestion to create an aide-mémoire with photos… avant et après ! Thanks for sharing with us. 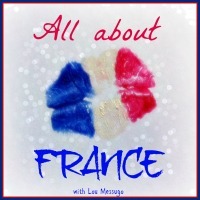 #AllAboutFrance provides such a bounty of useful and fun information. Cheers! I think I managed to find a real horror of a builder, but in a way that was good as it made my case stronger. Thank you for your comment and wishes. And to make a change from all works, I hope to check out Annecy some time soon, after your blog recommendation! It’s sad to have been through such a bad experience, but it’s generous of you to share it – hopefully this will avoid other people feeling powerless in similar situations. I’m not planning any work, but I will certainly bear these useful points in mind if I do. Thanks, and thanks also to #AllAboutFrance. Heh, heh. Me too, I know the terms better in French than English now! The irony is that I’m now more knowledgeable to be able to oversee works better and smell out a cowboy, but I no longer want the stress! You’re right. When I first moved down here I hardly new anyone to ask for recommendations, but now I do and I’ve happily got some great recommendations and am feeling a lot more positive about the re-works. Thank you for the link-up to share it all! Need to transfer money abroad in a different currency? I highly recommend CurrencyFair - a safe, peer to peer system with the best rates and quick transfers. Click anywhere here to be taken to my referral at their webpage. Using this link only, we both get €30 credit and a free transfer. It’s Christmas 2015 – Bah Humbug!